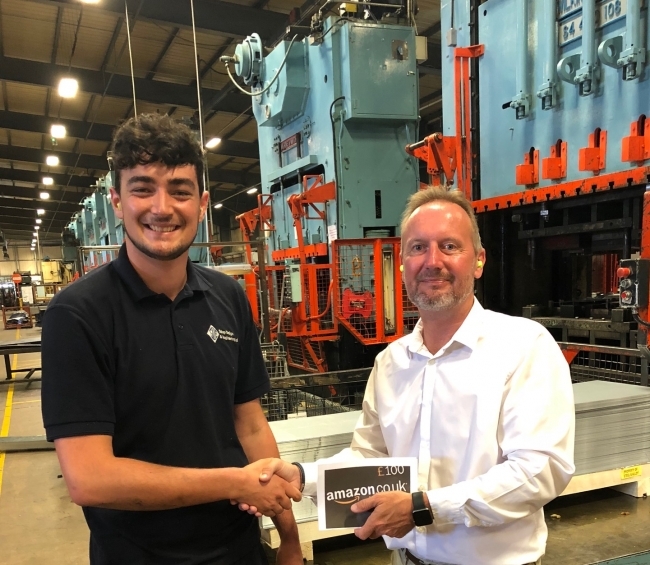 Congratulations to Alex Malam of Salop Design & Engineering the winner of the UK Manufacturing Apprentice of July. Alex is a fantastic role model to other apprentices and deservedly picks up the £100 Amazon Vouchers as a reward! After accepting the prize, Alex said: ‘I am happy to have won this award and would like to thank my peers at Salop Design for their mentoring over the years. I really enjoy working at Salop as every day is different and there are new challenges and problems to be solved. I am looking forward to what the future has to offer’. The national apprentice competition has been launched to find and recognise the very best apprentices currently working within the UK manufacturing industry. The initiative has been set up AMI, a web design & marketing agency that specialises in supporting UK manufacturing companies.